Executive Director, Center For Value And Attitudinal Reawakening (CVAR), Rev.Prof.Pandang Yamsat has continued his visitations to major political parties and their leaders towards having them key into it's forthcoming conference for Christian political leaders in plateau state. This time around the team was at the APC Secretariat where they were received by the Party Chairman, Letep Dabang and some party executives. According to Yamsat,Godly values and attitudes have eroded the Nigerian system and put everything in bad light where as we can be better as a nation if we have a change in values and attitudes pointing out that since politicians are drivers of the governance process, it is key to begin with them. In the words of Yamsat,"If we are to be successful in grooming the young in godly ethics and values for good leadership in the future,we feel our present political leaders and players must set the example for them to see and embrace without difficulties. Yamsat added that CVAR,will visit more political parties,chrisrian politacal leaders in the preparations towards its conference in February 2018. He assured that politcal leaders from other faiths will be involved subsequently so that it can be all round. Responding, the Plateau State APC Chairman, Letep Dabang applauded the initiative by CVAR to bring Christian political leaders together and also extend to other faiths so that godly values and attitudes can be preached saying that falls directly within the manifesto of the APC. According to Letep "Our attitudes must reflect a change,we must affect lives by our lifestyle as politicians". 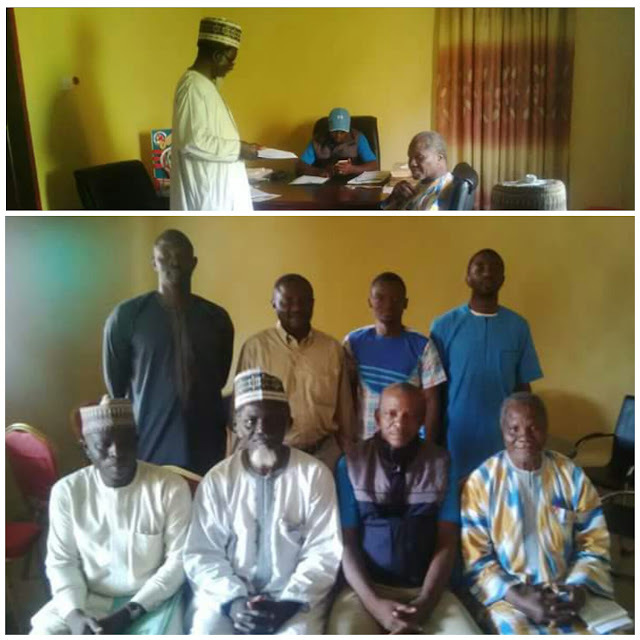 He welcomed the intentions to include other faiths saying the APC willl mobilize its entire leadership at state LGA and ward levels to key into the planned conference. The Executive Director , CVAR, Rev Prof. Pandang Yamsat was days back at the state PDP secretariat and plans to visit other political parties secretariats as well as christian leaders to inform them on the planned conference.